Below is a list of quality properties who are offering discounted rates to our racers. The rates listed are the discounted rates (not incl. taxes/fees). 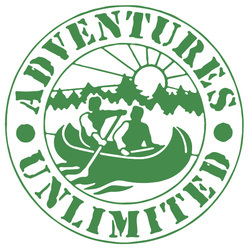 All are on Pensacola Beach, except for Adventures Unlimited. Limited availability at the discounted rates. Amenities: Directly on the Gulf of Mexico this property offers a restaurant, bar, fitness room, indoor and outdoor pools, two hot tubs, sundries shop & complimentary business center. All guest rooms feature a microwave, refrigerator, coffeemaker, hairdryer, iron & ironing board, safe, DVD Player, 32” Flat screen HDTV and complimentary Internet access. $250 plus tax per night for a 2 bedroom sky-home. $360 plus tax per night for a 3 bedroom sky-home. Our 3 Bd units will be able to accommodate 6-8ppl. using sleeper sofa. Portofino Island is situated on 28 beautiful acres in Pensacola Beach between the emerald waters of the Gulf of Mexico and the gentle shores of Santa Rosa Bay. It is also adjacent to the pristine Gulf Islands National Seashore. Its supreme location makes it nature’s last unspoiled playground and Pensacola’s premier resort destination. Featuring more than 300 two and three bedroom designer accommodations, the upscale, full-service resort offers premium amenities and family-oriented activities, Southern hospitality and a superb gulf and bay front location. Each deluxe accommodation features the modern conveniences of a tower residence and stunning water views. We only feature 2 and 3 bedroom sky-homes. Intimate and contemporary, Beach Club Resort and Spa offers a serene sanctuary where you, your friends and family will relax, reconnect and rejuvenate. Located on the quaint, relaxing community of Pensacola Beach, Florida, Beach Club is a study in artistic accommodations, offering exquisitely decorated residences. Rate: $300 per night for a 3 bedroom condominium. For reservations call 1-866-206-0323 – Mention the group rate for the Pensacola Cycling Classic. ​Group Code: CYCP Book your group rate for Subway Pensacola Cycling Classic - Ask for Andrea Golba with questions. Cabins located within minutes of the Road Race location in Milton, Fla. If you prefer the woods and creeks to the beach, this is the perfect location!